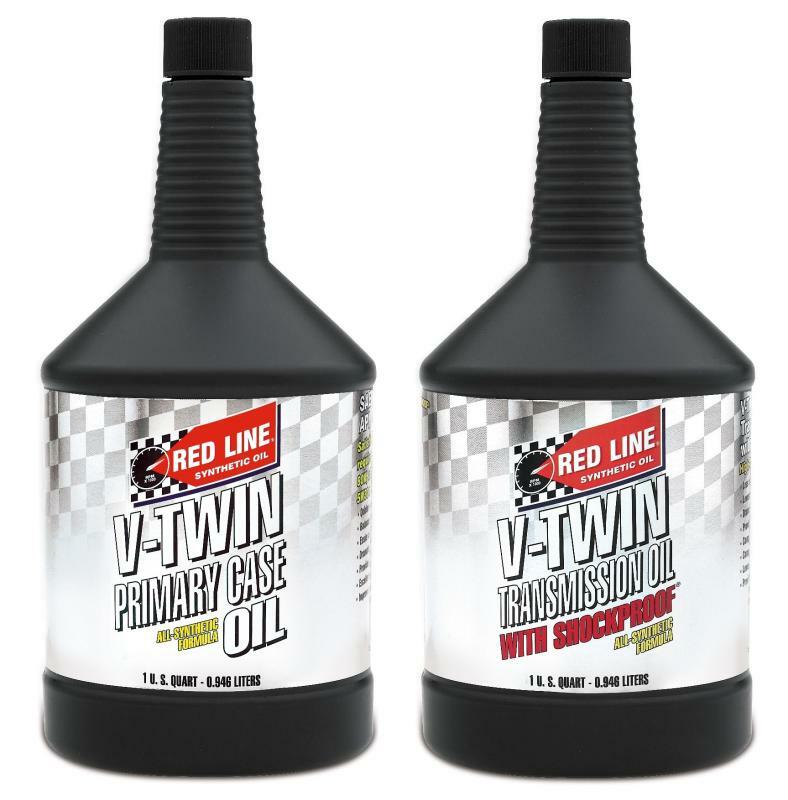 Red Line’s new V-Twin Primary Case Oil is designed specifically for ’84-to-present V-Twin American motorcycle engines, including aftermarket engines of similar designs. Similar to our MTL, this product is for use in the primary chaincase with wet-diaphragm spring clutches. Designed to operate over a wide temperature range, this Primary Case Oil improves clutch operation while reducing wear and temperature. Where most synthetics are too slippery for clutch operation, this friction-balanced product is balanced to provide less slip, smoother operation, and helps to apply more power in modified engines. 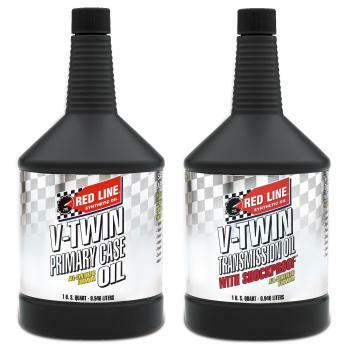 Red Line’s new V-Twin Transmission Oil is designed specifically for ’84-to-present V-Twin American motorcycle engines, including aftermarket engines of similar designs. When only the best will do. Red Line V-Twin Transmission Oil will keep your V-Twin Transmission cool even when you’re burning up the pavement.